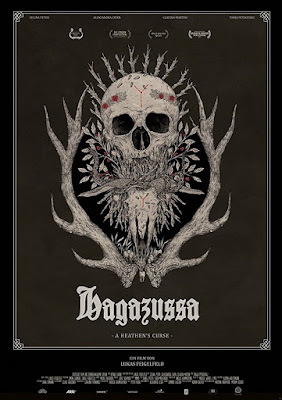 Making the rounds of numerous genre festivals around the globe I somehow completely missed HAGAZUSSA despite it playing close to home. It wasn't until the film make a trip some six hours from my home that I finally caught up with a film I had been told was chilling and hauntingly beautiful. 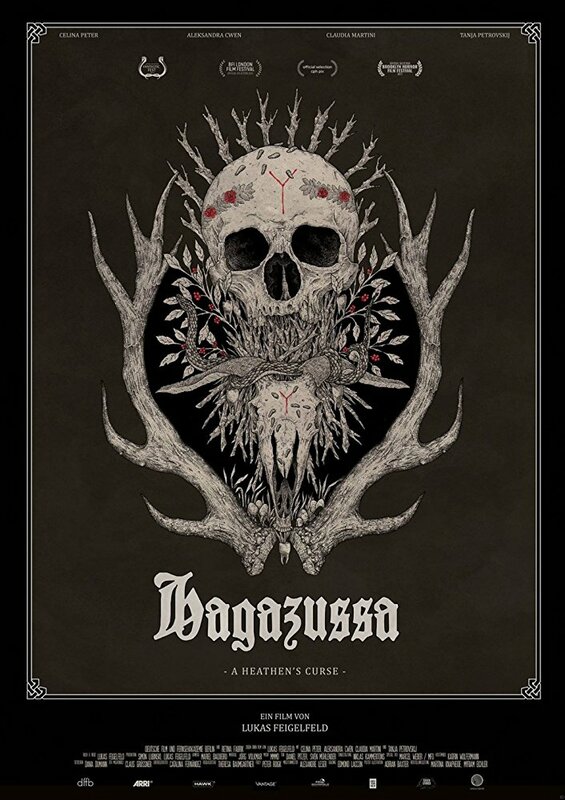 While certainly looking spectacular the story of HAGAZUSSA never fully comes together. Things happen, kind of. People do things, occasionally in real time, but nothing quite adds up to much because we are never clued into anything. This is not the result of the scarcity of dialog, rather its simply we never see enough to piece it all together. Watching the film I kept attaching my thoughts to the story and characters instead of having the film inform me. It was as if I was making up a story for the images instead of being told a tale. While I don't hate the film I really don't care for it either. To me it's a kind of missed opportunity. my kvetching aside I know that some people have loved the film so feel free to give the film a go.